~ Japanese researchers found that diets high in carotenes significantly reduced DNA damage in humans exposed to radiation. Supplements of beta-carotene (or of vitamins C or E) did not show this effect. Eating lots of orange and dark green foods (sweet potatoes, winter squash, beets, carrots, kale, collards, chard, and spinach, for example) can protect you from radiation-induced cancers. ~ Guinea pigs bombarded with radiation lived a lot longer if they ate broccoli or cabbage. All cabbage family plants - including arugula, turnips, radishes, cauliflower, mustard greens, bok choy, Brussels sprouts, broccoli d'rappe, kale, collards, and of course broccoli - protect your cells from the damaging effects of radiation. ~ Choose an image, an icon, something meaningful to you, as a focusing agent. Put your affirmations, blessings, prayers, visualizations, and healing love into it, for easy access when you need help. ~ Miso broth is the classic food for prevention of radiation damage. There’s twice the protection if a quarter-ounce/5 grams of dried kelp seaweed is added to the soup. In scientific studies, seaweed was able to neutralize radioactive isotopes in the human body. Researchers at McGill University say radioactive strontium binds to the algin in brown seaweeds to create sodium alginate, a compound easily and harmlessly excreted. Common black tea exhibited the same anti-radiation effects in several Japanese studies. ~ In Fighting Radiation and Chemical Pollutants with Foods, Herbs, and Vitamins (Vitality, 1991), Steven Schecter tells us that both black and green tea showed "radioprotective effects" whether taken before or after exposure to radiation. Among other modes of operation, tea catechins absorb radioactive isotopes and remove them from the body before they do damage. The action is similar he says, to that of sodium alginate (the "active ingredient" in kelp seaweed). ~ Eating any amount of reishii (a mushroom) reduces damage from radiation. ~ St. Joan’s/John's wort oil protects my skin from radiation damage. I use it as my only sunscreen (and I am outside a lot) and find it not only immediately effective in preventing and treating sunburn, but even more protective with continuing use over years. ~ Burdock root (Arctium lappa) removes radioactive isotopes from the body. A dose is 1-4 ounces/300-120 grams of cooked fresh root, up to a pint of infusion daily, or several large spoonfuls of vinegar (but only if made with fresh roots). ~ Dried beans, especially lentils can reverse DNA damage done by radiation. So can red clover (Trifolium pratense) and astragalus (Astragalus membranaceous) - two powerful members of the legume (bean) family. ~ Homeopathic remedies can be taken before and after exposure to radiation: Plumbum (lead) is said to help those who feel overwhelmed and in need of protection. Belladonna is used to prevent and relieve radiation burns and pains - even long after the immediate exposure. Recipe for "Anti-Radiation Easy Meal" is on page 308 in Breast Cancer~ Breast Health! the Wise Woman Way. ~ Selenium protects DNA from radiation damage and helps prevent damage to the skin surface, too. Get plenty of selenium by eating a daily dose of 2 cups/500 ml of nettle infusion, one-half ounce/15 g kelp, 2 ounces/60 g cooked burdock root, or 1 cup/250 ml organic yogurt daily. Shellfish, green and black teas, and garlic contain significant amounts of selenium, as do many mushrooms. The best sources however are nettles (2200 mcg per 100 grams), kelp (1700 mcg/100 g), burdock (1400 mcg/100 g), catnip (Nepeta cataria), ginseng, Siberian ginseng, and astragalus. 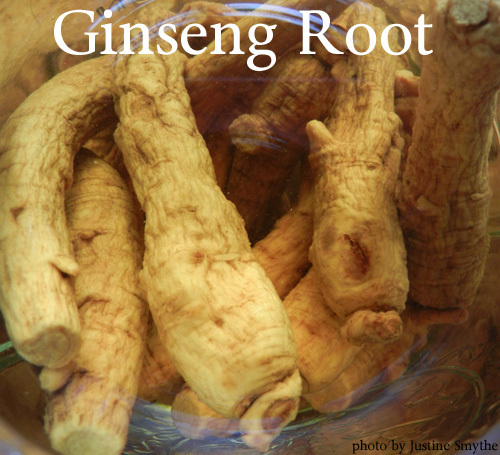 ~ In clinical trial with humans, those who took ginseng extract (Panax quinquefolium) for thirty days following exposure to radiation showed hastened recovery from injuries to their bone marrow, organs, skin, and blood cells according to Paul Bergner in The Healing Power of Ginseng, The Enlightened Person's Guide, Prima, 1996. He quotes Japanese researcher Dr M. Yonezawa as saying that "ginseng appears to be the most useful agent available for protection against radiation damage." ~ It’s important to keep yourself well nourished if you are exposed to radiation. Make it a habit to drink at least two big cups of nourishing herbal infusion daily. Nettles, red clover, and violet leaves supply generous amounts of the nutrients you need most: protein and minerals, especially potassium and zinc. For best results, do not use capsules of the herbs mentioned in this article. Instead, cook with them (kelp, astragalus, Siberian ginseng, ginseng, reishii, and burdock), brew nourishing herbal infusions with them (nettles, red clover, astragalus, burdock, catnip, and ginseng), make mineral-rich vinegars with them (nettles, burdock, catnip, ginseng, and astragalus), or take a high-quality non-standardized tincture of them (burdock, ginseng, Siberian ginseng, astragalus). ~ Put one ounce of dried herb into a quart jar; fill jar to the top with boiling water and cap tightly. ~ Strain after 4-8 hours and drink hot or cold. ~ Refrigerate what you don't drink right away; drink that within a day. ~ Fill any size jar with fresh herb (best!!) or one quarter full of dried herb (not nearly so good). ~ Pour room temperature apple cider vinegar over the herb, filling jar to the top. ~ Cover with plastic wrap or a cork. ~ Label with date and name of plant. ~ Let sit for six weeks. ~ Decant into a pretty bottle and use to season soups, beans, and salads. This is the Wise Woman Way the world 'round.